As much as I’ve tried to to tell myself it can’t possibly be, the holidays are just around the corner (Seriously?! It’s November? !… ALREADY?!?!). If you’re anything like me, you’re probably wondering where the heck the year got away to… and before we know it, the rest of the year will have gone by just as quickly. If you’ve been putting off your family portrait session, now is the perfect time to get the family together. During the month of November, any portrait session scheduled will include a set of 25 holiday cards or a disc of ten images absolutely FREE! …and who doesn’t love free, am I right? 🙂 If you would like a disc and cards this holiday season, you can have both for only $65 in addition to your session fee. I’m super excited to offer this year new Luxe Pop cards. 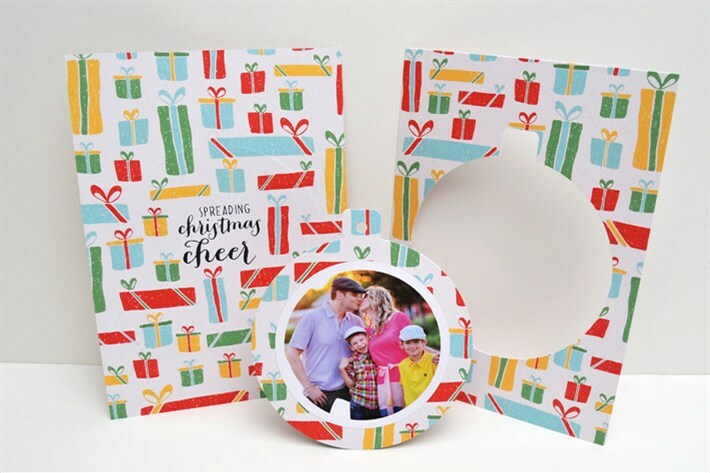 These 5×7 cards are two sided and the center of the card pops out to create an ornament for the tree …and with all the designs to choose from, you’ll have trouble picking just one! Not only can I create beautiful cards for you, but you could also save some holiday shopping by letting me create one of a kind gifts, from classic gallery wrapped canvas pieces to wall calendars, from photo books to playing cards. Sessions are limited so if you would like to schedule your holiday session, use the contact tab to message me today! If you had a session with Krysteena Marie Photography this year and would like to order holiday cards or gifts with images from your session, let me know! During the month of November, I will waive the fee for re-posting online albums for all 2013 sessions.